Museum of Timekeeping is committed to respecting copyright law and other intellectual property rights. This website and its content is copyright of Museum of Timekeeping © Museum of Timekeeping 2018. All rights reserved. These copyright terms exclude published Museum of Timekeeping press releases which are freely distributable. Museum of Timekeeping values its own intellectual property rights and those of others. 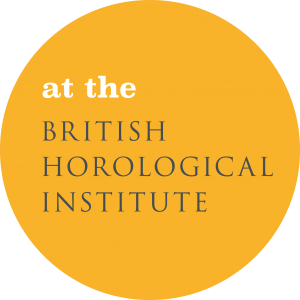 To support this approach Museum of Timekeeping has taken every reasonable effort to ensure rights holders have been contacted for permission prior to reproduction of their work on this website and in all other uses. Any errors are inadvertent and will be corrected for future publication on written notification by the rights holder or their representative. Please contact us at info@museumoftimekeeping.org.uk if you believe you are the owner of the copyright of material that has been reproduced on this website, or in any other publication to which the Museum of Timekeeping has published or provided material that you believe infringes your rights.